How much does it cost to travel to Kobe? How much money will you need in Kobe? The average price of food for one day is ¥3,526 ($32). Additional pricing is in the table below. These average travel prices have been collected from other travelers to help you plan your own travel budget. Located between the sea and the Rokko mountain range, Kobe is a port city in Japan also considered to be one of the country's most attractive. Though it was devastated by a historic earthquake in 1995, known locally as the Great Hanshin Earthquake, Kobe has fully recovered to its cosmopolitan splendor with plenty for visitors to see and do. Commemorating the 1995 earthquake, Kobe has an Earthquake Memorial Museum that educates visitors on earthquakes and disaster prevention. Meriken Park near the harbor front has a memorial to the devastating earthquake a collection of modern art installations and fountains, the Kobe Port Tower, and Kobe Maritime Museum. 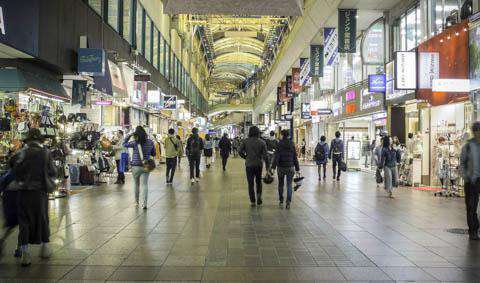 Also nearby is Kobe Harborland, a shopping and entertainment district with a number of shopping complexes, re-purposed warehouses, and the Gaslight Street which is lit up in the evenings by old-fashioned gas street lamps and electric lights. Another notable landmark of Kobe on the waterfront is the Akashi Kaikyo Bridge which stretches between Kobe and Awaji Island, and exists as the longest suspension bridge in the world. If you want to escape the buzz of the city and get a little closer to nature, Sorakuen Garden is a great place to escape right at the center of Kobe. It is a traditional Japanese landscape garden that was once part of the residence of Kodera Kenkichi, a former mayor of Kobe, but was opened to the public in 1941. Mount Rokko is another great place to take a step back and enjoy the views. It is the highest peak in the Rokko mountain range, offering spectacular panoramic views of the cities below especially during sunset. If this is not enough of an escape, you can also retreat to the Arima Onsen on the other side of the mountain. It is a famous hot spring resort town with bathing opportunities amidst mountain scenery. The biggest downtown district in Kobe is called Sannomiya. In addition to being a major shopping hub, it is also the center of many transportation systems in Kobe. Sannomiya Station is a home base in the city for JR West, Hankyu Railway, Hanshin Electric Railway, Kobe Municipal Subway, and Kobe New Transit. Kobe's Chinatown, Nankinmachi, is another locus for activity packed with shops, restaurants, and food stands that sell popular items such as steamed buns (manju), ramen, tapioca drinks, and many other Chinese dishes. The two main streets of the district meet at a small central plaza and are always busy with tourists. Another notable district includes Kitano-cho which is home to a number of former mansions of merchants and diplomats, called ljinkan. Many are open for touring while the surrounding neighborhood offers a variety of cafes, restaurants, and boutiques. Then there is Kobe's Nada district, Japan's top sake (rice wine) producing region. Here you will find a number of sake breweries and museums. For great views of the city from above, check out the Shin-Kobe Ropeway which departs from the Shin-Kobe Station and lifts tourists up the southern slopes of the Rokko mountain chain. As it ascends, it passes by the Nunobiki Waterfall and the Nunobiki Herb Garden, giving a nice aerial view of both, though they are also worth a visit from below. Take a pleasant hike to the waterfalls and enjoy the aromas of the 40-acre herb garden complete with greenhouses, exhibitions, and a restaurant. Other attractions within the city include museums like the Hyogo Museum of Art and the Kobe City Museum. Being a city of Japan, noodle and rice dishes make up the core of cooking and cuisine. Sobameshi, for example, is a dish of pan-fried noodles and boiled rice that is very unique to Kobe. Others include a beef dish called bokkake, a griddlecake made up of vegetables and meat or seafood held together with batter called Nagatayaki, and a boiled sand eel dish called kugini. Kobe is also abundant with sweets and breads, with many cafés and bakeries serving the baked goods with tea. Other specialties include sake and Kobe wine. Kobe beef is also is a delicacy renowned for its flavor, tenderness, and fatty, well-marbled texture, and can be prepared as steak, sukiyaki, shabu shabu, sashimi, and teppanyaki. There are plenty of dining options available throughout the city, especially in Sannomiya and Kobe's Chinatown, Nankinmachi. The city is served by Kobe Airport, which handles domestic flights only. Japan Airlines (JAL) and All Nippon Airways (ANA) both have flights to Kobe from Tokyo Haneda, Sapporo, Sendai, Okinawa, and Kagoshima. From Kobe Airport, the Port Liner light rail runs about every 10 minutes, reaching Sannomiya (the city center) in less than 20 minutes. From here there are easy connections to the Japan Rail (JR), Hanshin, Hankyu, and subway lines. Kobe is also connected to other major cities by rail like Tokyo, Osaka, and Kyoto. The nearest station on Japan's high-speed shinkansen network is at Shin-Kobe station. Since Kobe is a major city, it is connected to many other locations in Japan by bus.